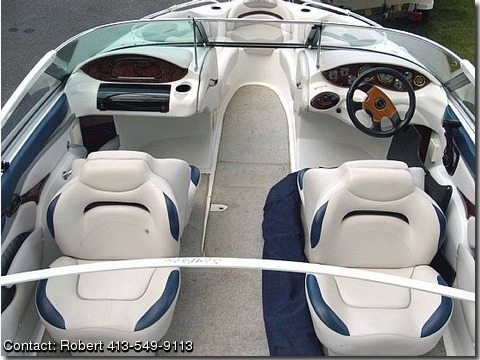 Exceptionally made 19' white/blue stripes inboard-outboard Bowrider with 4.3L mercruiser engine. One owner with limited use. Also includes a Venture boat trailer, full cover and Bimini top. Terrific family boat for water skiing, cruising and fishing.